When I was down earlier this month, my cousin and her girls were down the same week – they stayed at Coronado Springs. I think they liked it. We’ve never stayed there, but we did spend a few hours visiting a few years back, just walking around the resort and taking pictures. I captured some of my all-time favorite pictures of my kids there (in their pirate garb), so that resort holds fond memories for us. It’s a huge resort but we really enjoy it. We’ll likely stay there again one day. Sounds like a nice resort! What month were you there in 2007? We were there in February. I was very wary of the size of this hotel but was pleasantly surprised. 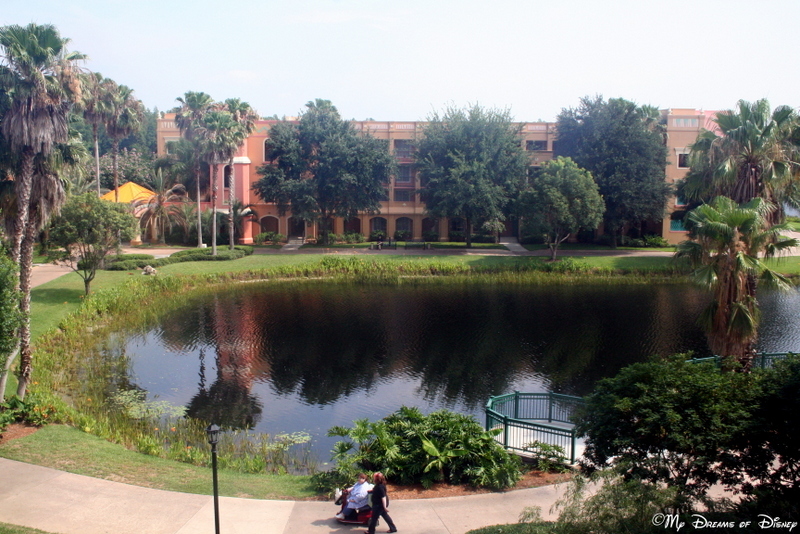 I enjoyed the walk to the food court and crossing the island with that FABULOUS pool. It really was relaxing and I would recommend it to anyone. We like it too Mary! 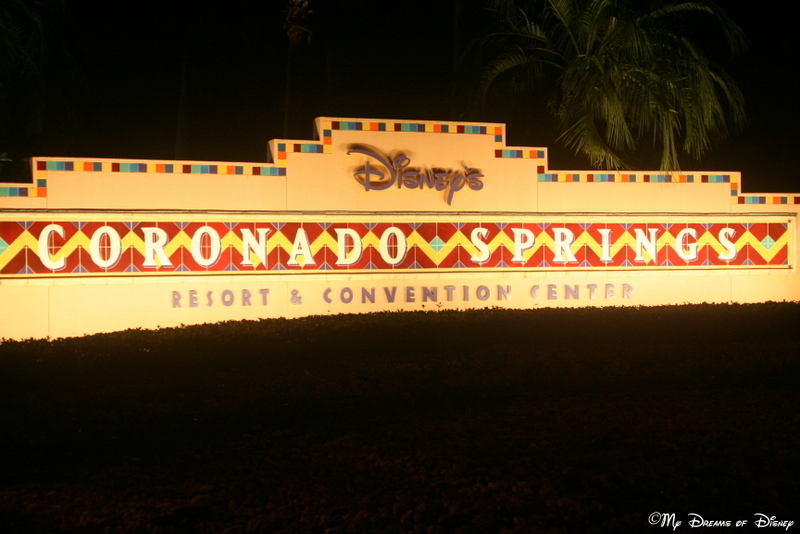 I’ve never stayed at Coronado Springs, but my parents stayed there the year it opened. They thought it had too much of a business hotel atmosphere. Do you feel that way? I can see why they would think that, and in all honesty, I think it depends on whether or not you are there when the convention center is being used. Personally, though, I didn’t think of it in that regards at all. I do love this resort. I love the lobby area and the food options. 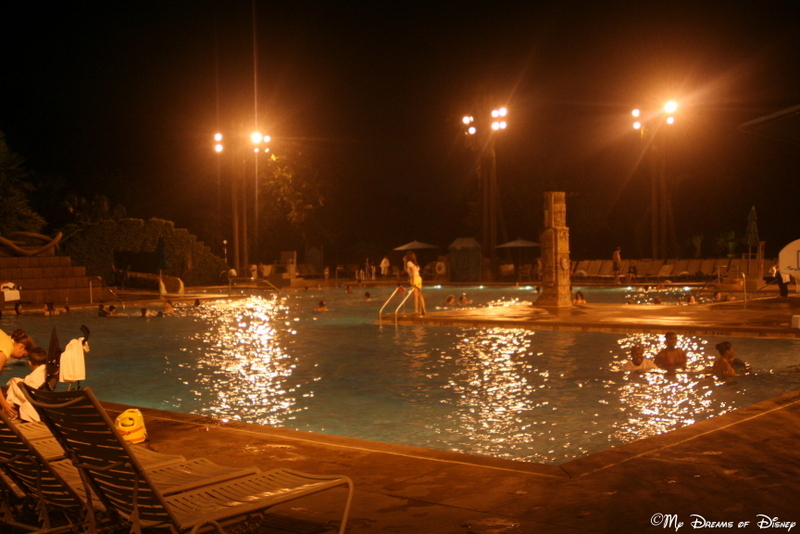 The pool is fabulous, and we felt like we were the only ones there on several occasions. I do not love the size. I had about a 25 minute walk to get my morning coffee. It was too inconvenient at times. BUT if I get my requested building and room I do enjoy it. Next Post: 45 Years of the Magic Kingdom!